Catholics believe that Mary is the Ark New Testament and they believe it on a scriptural basis (source).This is the same stance Orthodoxy has (source). If yes, then, that would mean agreeing with Catholic (and Orthodox) interpretation. Also, the Greek word ἐπισκιάσει was the same Greek word used in the overshadowing of the Ark ( Exodus 40:35 LXX).In the entire Scriptures, only Mary and the Ark were ascribed of that verb. 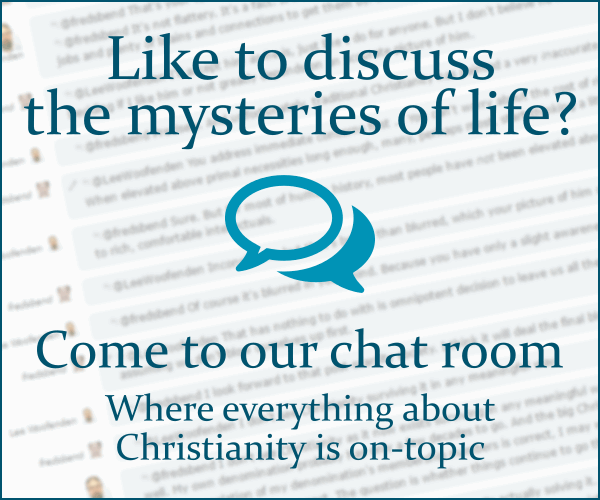 Protestants of different denominations are encourage to answer. If you look hard enough you can always find similarities. The correspondences between Mary and the Ark of the Covenant remind me a lot of Islamic arguments that Muhammad was the prophet Moses prophesied about in Deuteronomy 18:18-22 rather than Jesus. On the day of Atonement the High Priest would take the blood of the bull and goat (which were sacrificed as sin offerings), and sprinkle it over the Ark, making atonement for the nation. This soteriological role points only to Jesus. Some Catholics call Mary Co-Redemptrix, but that is not even official Catholic Dogma! The cloud of God's presence was positioned above the Ark, demonstrating that God dwelled within his people. But they were cut off from him, behind a curtain only one man could pass through once a year, outside a temple restricted to the priests, behind a system of expensive and bloody sacrifices. Mary bore Jesus the Son of God, who came to dwell among his people (John 1:14). God's presence at the Ark is a tiny shadow of his presence in the person of his Son, but as such the Ark is pointing to Jesus, not Mary. I don't think the Ark could really be considered to have ever carried God, rather it was the location where God descended to be with his people. If anything, the way in which Mary led to God dwelling with his people is far beyond what the Ark did, and comparing her with the Ark is a negative comparison. God was holy and so the Ark was holy. But almost all protestants reject the idea of Mary's immaculate conception believing instead that she is a sinner like the rest of us. There is no comparison between the Ark's holiness and hers. Mary's righteousness is imputed to her through her faith in the gospel, not because she carried the embryonic Jesus. I think it is an overstatement to say that the word is only used by Mary and the Ark in the entire Scripture. The literal meaning “to overshadow,” “to cast a shadow,” occurs in Act 5:15. In the background is the popular view of the apostle Peter as the person who heals all sickness. In the Old Testament, it also occurs in Deuteronomy 11:12, Psalms 91:4 and Isaiah 32:14-17. The parallelism for David's fear of the Ark versus Elizabeth's joy in acknowledging the divinity of the child seem stretch. Two motifs control the use in Luke: the natural movement of the child in the womb, and eschatological joy at the coming of Christ. The former is prefigured in Gen 25:22 the latter in Mal 4:2, where the comparison gives expression to joy at eschatological salvation. Both are the Hebrew equivalent of the Greek Word, skirtao. If I will be generous, it is the proximity of Mary next to Jesus, as the reality of the type of the Ark of the Covenant, that these passages seems "similiar". EDIT: It would seem that I will now hold the assumption that the exact conjugation holds. If so, there must be consistency of the interpretation of the types. A type (Gk. typos, from typtö, “to strike”) is a stamp, pattern, or mold, indicating that a pattern or idea is applied to someone or something else. The analogy of a typeface in printing and its corresponding image is helpful. Types may be persons (Adam), offices (the priesthood and kingship), entities (the tabernacle), or events (the Passover and Israel’s wandering in the wilderness). Traditionally, David is a type of Christ and to associate it with John the Baptist is stretching it. And again, the same argument holds to David as a type of Elizabeth. With this, I would not be surprised if most writers outside of Catholicism have even consider the similarity (in my humble opinion) when the types of Christ is more outstanding and consistent. THE ARK A TYPE OF CHRIST The Ark was an assurance of God's presence amongst his people : so Christ is the cause and assurance, that God in a gracious way is present with us. Where the Ark was, there it was lawful to offer sacrifice, and no where else: which might show that our acceptance in God's sight, is through Jesus Christ. The ark is one of the most dramatic and outstanding types of Christ found anywhere in the entire Bible. Let us think of what was in the ancient ark of the covenant, for all that was in that ark as a type is to be seen in Christ our heavenly covenant ark above. In that ark, if you and I could have gone into the holy place, and have had our eyes strengthened to look. we should have seen, first, God dwelling among men. The ark of Jehovah passed over before the people, who were to leave the space of two thousand cubits between it and them, that they might know the way by which they must go; for they had not passed this way before. Who indeed had passed through death, to rise beyond its power, until Christ, the true Ark of the Covenant, had opened this way? Not exactly. If we look at what scripture says, we find that the tabernacle was overshadowed, though the ark was inside. The ark per se, alone, was not singled out as overshadowed. Moses had set the ark in the inner room, in the Holy of Holies within the inner veil of the tabernacle of Moses (Exo 40:21). Once completed, of age if you will, the whole tent was overshadowed. In other words, the type is more a picture of Mary as the tent of what's inside. She was "overshadowed", as the whole tabernacle was, but the point is the ark is inside; that is, with Christ the Ark within. Mary thus "overshadowed" gives birth to the Ark, rather than the ark being Mary. Again not really. Elizabeth's baby is not leaping for joy in the presence of Mary, but rather because of the fruit of Mary's womb; that is, Jesus Christ. The joy comes from recognizing the Ark within the tent (the carrier Mary). Like with the other two "examples" trying to force an interpretation that does not exist, so too is this comment divorced from Scripture and context. David is afraid. He has no idea how to move the ark. His jealousy of the blessing, however, overshadows his fear. He leads the ark back to Jerusalem with sacrifices of oxen every 6 paces. There's no sense of comparison as Elizabeth is happy to see Mary. There's no sense of fear or envy at that stage. So, while it is apparent that Mary may be compared to the tent that held the ark, the ark itself is a type of Christ. I am answering from the Evangelical Protestant perspective. Typology in Christian theology and Biblical exegesis is a doctrine or theory concerning the relationship of the Old Testament to the New Testament (source). On the cover of the ark there was the so called ‘Mercy Seat’, the ἱλαστήριον (hilastērion).Paul writes in Romans 3:25 that Christ was presented as a ἱλαστήριον (MERCY SEAT). In relation to the Redeemer, Mary as the Ark portrays her human nature ( divinity is unlike gold ~ Acts 17:21 ) and share in the divine nature by grace ( Luke 1:28, 2 Peter 1:4). In relation to the redemptive significance of the Ark, Jesus Christ alone is its sole fulfilment. Since Jesus Christ is both God and Man, being God incarnate, He must be the sole type of the Ark of the Covenant (i.e. of salvation) and Mary must be the archetype of Himself (i.e. a person). The 'antitype' is always greater. Thus, Mary cannot be what Jesus is. It is natural for her to be of the human essence and Christ of divine essence as well. The former, conceived in sin (Ps. 51:5) and the latter, conceived without sin (John 1:1,14). David was joyous before the Lord not before the ark (2 Samuel 6:10). This shows that John was joyous before Jesus not Mary in Luke 1:44.Rather, John was joyous before Jesus through Mary’s greeting in Luke 1:44. Comparing Matthew 2:11 and Revelation 11:19;12:1-5 showed that Jesus Christ (not Mary) is the New Testament Ark just as other OT and NT passages consistently show. This interpretation faithfully addressed the similarity between Mary and the Ark of the Covenant. Mary is neither the type of the Ark of Old Covenant nor the New Testament Ark herself. Rather, Mary’s human substance as well as the grace she received prefigured the hypostatic union of the Messiah. She is the archetypal ark of the ark of the New Covenant: Jesus Christ. Not the answer you're looking for? Browse other questions tagged protestantism virgin-mary ark-of-the-covenant typology or ask your own question. Why is the word “Ark” used for Noah's boat and the Ark of the Covenant? Is there any historical evidence that would indicate where exactly the ark of the covenant is now located? Why do Protestants not refer to Mary by the title “Mother of God”? What is the difference between Protestantism vs Protestants? What was inside the Ark of the Covenant? Was the Book of the Law (Torah) ever kept inside the Ark of the Covenant? Does the Bible ever say that the Ark of the Covenant flew or levitated?